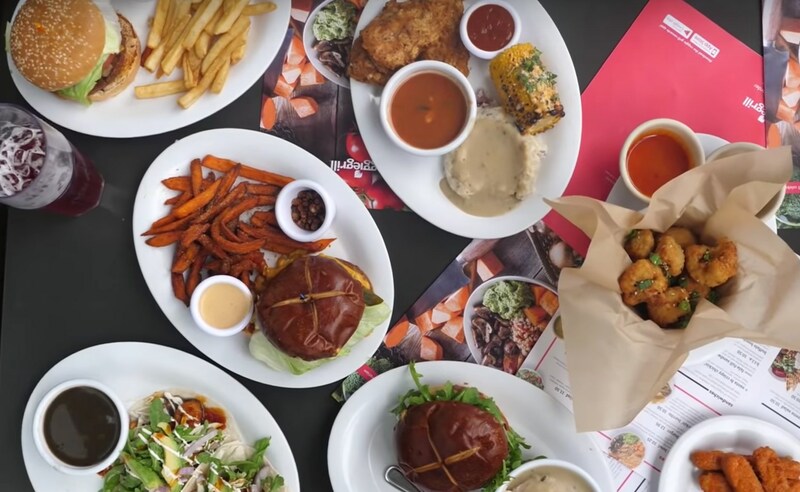 Los Angeles is one of the world's leading cities when it comes to vegan food. 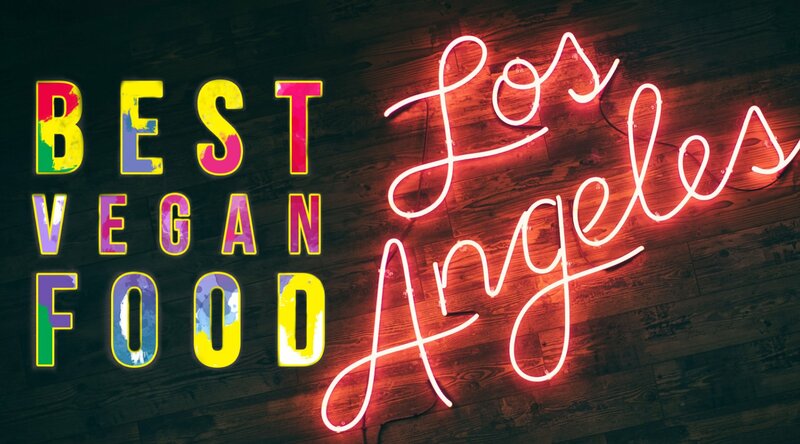 In fact, LA offers so many top plant-based options, animal rights charity PETA crowned it 2018's most vegan-friendly city in the US. According to the group: "Los Angeles is vegan heaven - it’s no wonder that vegan celebs Natalie Portman, Jessica Chastain, Liam Hemsworth, Miley Cyrus, and many others call La La Land home. The city is also home to an impressive array of eateries for every occasion and every craving." Foodie duo BOSH! - aka Henry Firth and Ian Theasby - took to the city to taste the best of its vegan offerings. Here are their top 10 Los Angeles vegan eats. This falafal bar right next to Venice Beach reminds Henry of 'everything [he likes] about Middle Eastern food'. The eatery is popular with both herbivores and omnivores, who like picking up a quick meal to eat on the beach. "Bareburger was the first place we ever tried an Impossible Burger," says Henry. "With lashings of vegan cheese and bacon." While the eatery serves lots of non-vegan food, its plant-based burger options are described by the pair as 'next level'. "Veggie Grill is a fantastic fast food chain that is all over LA," says Ian. "Its burgers are astounding, especially the Lucky Star burger. "The sides are also amazing too. Buffalo wings are my personal favorite." Bistro and brewery Sage serves a host of tapas-style dishes, as well as burgers, salads, and wraps. Its breakfast bowls and scrambled tofu are BOSH! 's favorite dishes. Describing the scramble, Ian says: "That is some fantastic tofu scramble. The seasoning in it is perfect." A top vegan shopping spot is Lento Mrkt, which sells a range of plant-based produce and products - including fresh baked goods and ice-cream. "The owner Mark is a very, very good chef," says Ian. "He makes everything by hand and his croissants are fantastic." Another top stop for something sweet is Donut friend. 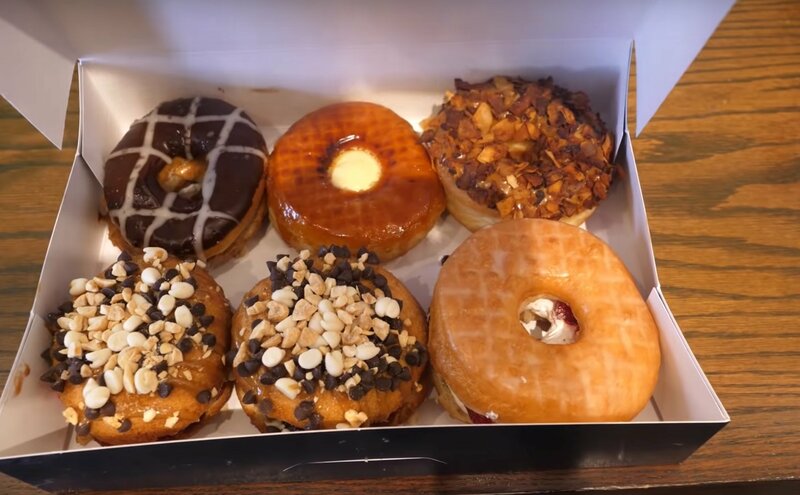 "They have an amazing variety of delicious donuts, but if you're not satisfied, you can even build your own," says Henry. The pair describe this eatery, serving home cooking-style food, as 'amazing', with Henry adding that it's the 'holy grail'. The vegan fried chicken - complete with 'skin' - is some of the best in the world, according to Ian, who adds: "It's crispy, it's crunchy, and it's all-American in flavor." A top spot for brunch - or a fancy night out - is Crossroads. According to Henry: "Inspired by the Mediterranean, its completely vegan menu is perfect for veggies, vegans, and meat-eaters alike - amazing presentation, banging food." As one of the best vegan Mexican restaurants in the world, Gracias Madre serves food that 'looks amazing and tastes delicious,' according to Ian. "Our number one restaurant in all of LA is Plant Food + Wine," says Henry. "Not only do they make some of the best looking, best tasting vegan dishes that we've every had, they also pair them with gorgeous vegan wines."